From Chaps. 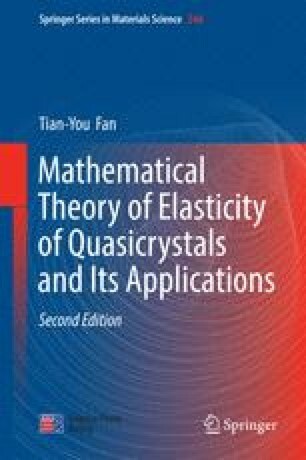 4 to 13, we mainly discussed the elasticity and relevant properties of quasicrystals, which belong to linear regime both physically and mathematically. Their mathematical treatment is relatively easy though the calculations are quite complex.